Let’s see how alimony calculations have become more friendly for the former spouse paying their ex-spouse. Fannie Mae recently made it acceptable for lenders to decrease a borrower’s income by the amount of the alimony as opposed to including it to his or her debt-to-income ratio, which made it harder to qualify for financing. This move is going to make a huge difference for many borrowers. Denver residents Ken & Debra have been married for 15 years and they have just finalized their divorce. 1) Ken makes $12,000 per month and he has been ordered to pay his ex-wife Debra monthly alimony of $3,000 for five years. 2) Let’s presume Ken wants to buy a condo in Cherry Creek for $615,000, with a 20 percent down payment and financing $492,000. His interest rate will be 4 percent and he will pay $400 in monthly homeowners association dues. His monthly house payment that covers P.I.T.I will be about $2,749. A 46 DTI is allowed under Conventional loan rules since they now permit up to a 50 DTI. Ken is now able to buy a that condo since his income to debt ratio is acceptable under Fannie Mae guidelines. 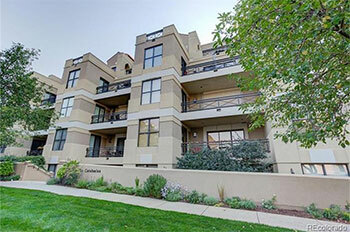 He is now OK to search for a condo, townhouse or single-family home in the Greater Denver area.